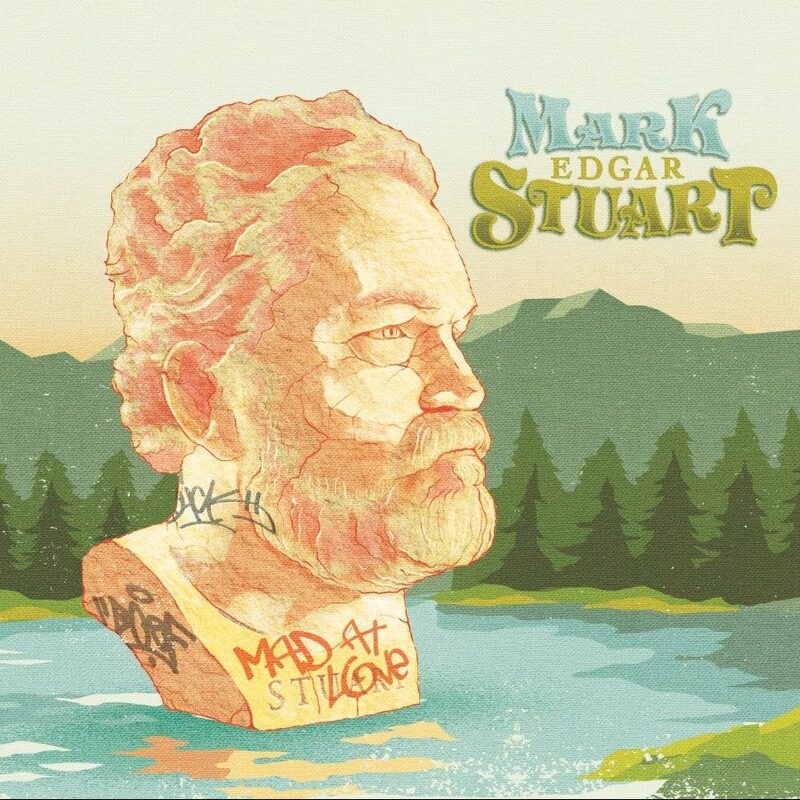 Love, confusion, illness, existential crisis, friendships, break-ups, anger, reflection; they’re all here on Mark Edgar Stuart’s tender new album, Mad at Love, out now via Madjack Records. Couched in the arms of Stuart’s warm, wry croon, and despite the album’s title, Mad At Love finds the Memphis-based singer, songwriter and multi-instrumentalist worn and battered but still very much hopeful and determined in the face of the all-too-real challenges of human life here on planet earth. Addressing themes of growing into the responsibility of human relationships in insightful and poetic ways, Stuart’s sharp observations are lifted up by the free and soulful playing of the superb team of musicians he has gathered around him. Bolstering Stuart’s own nimble picking, Al Gamble’s organ is a highlight of the collection as it swirls around the arrangements, leaving space where needed and soaring at just the right moments. Likewise, the sturdy bedrock of Landon Moore (Bass) and John Argroves (Drums) gives an expert foundation on which John Whittemore lays down the ache of his steel guitar, lending proceedings just the right air of quiet resolve and introspection. At the time of the release of Mark Edgar Stuart’s previous album, Trinity My Dear, after years as a musician in several highly regarded bands, he observed of his own artistic development: “The most uncomfortable part becoming a singer songwriter was the singing part.” On the evidence of Mad At Love, Stuart has grown into not just his own voice, but his writing, guitar playing and maybe, just maybe, his very own skin. Mad At Love is out now via Madjack Records.